In business, time is money. Using time more efficiently makes difficult tasks easier; which can be a quick morale boost for those who are tackling one project after another. The document similar to the Avery 5161 Label Template allows you to save time as you personalize the labels that you attach to your outgoing correspondences. The strategic adding of small personal touches here and there, is what sets one business apart from another. Once you download this free and easy-to-use template, then you can start creating labels for mail correspondence, gifting, or branding. The Avery 5161 Label Template similar, document mirrors the 20- 4×1 labels per sheet that you have previously purchased. There are a variety of graphic designs to choose from on the template, which makes them perfect for any season and any reason. You will be able to customize the labels by adjusting the font and script style to your liking, then insert the information that you want displayed on the label and print. It also allows you to edit addresses from your list before you print. It used to be awkward when you did not completely fill all twenty spaces on a sheet of labels, now with the Avery 5161 Label style, template you can print in the space where you need to print. You simply choose the label space that corresponds to the space on your sheet, customize and print. Use these labels to mark client files. There are times when you need to quickly look up a client’s address and you find yourself search through file papers just to find the address. 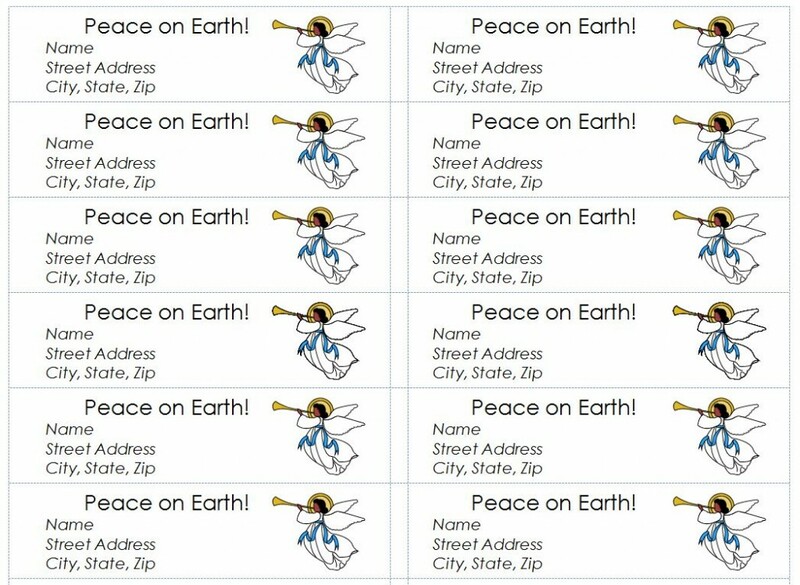 Print the address labels and stick it to the folder in a place that is convenient for you. Use these labels for branding necessary items in the office, instead of hand writing labels. When items such as boards, drawers, shelves and containers need to be labeled or personalized for proper use by others, they look more professional and official when they are typed and printed. When you have to make gift bags, use these labels to personalize and seal the bags closed. Looking forward to making my club labels. Used these labels last year and they looked great!